Coming to a network near you. As fans, we could merely settle for the thrill of watching live-action dudes in Assassin hoods jump around and stab things for forty-five minutes an episode. But I put it to you that we can demand better, damn it! Here are four things that can turn this prospective series into a stone-cold masterpiece. What audiences want, in a nutshell. Try explaining Assassin’s Creed’s story to someone who hasn’t played it. Even better, to someone who isn’t a gamer. It doesn’t go very well, does it? AC sells itself well in the gameplay, but when you’re describing it in words, it tends to fall flat. That’s not to say that the story is bad. It just means that we need an “in” for people who have no familiarity with the concept. This is a show that simply cannot afford to throw viewers in the deep end - especially with a hundred other shows that feature assassins, time travel, parkour, or some combination of the three. Sell newcomers on why this franchise is worth their time. And while you’re at it, re-sell us on it. 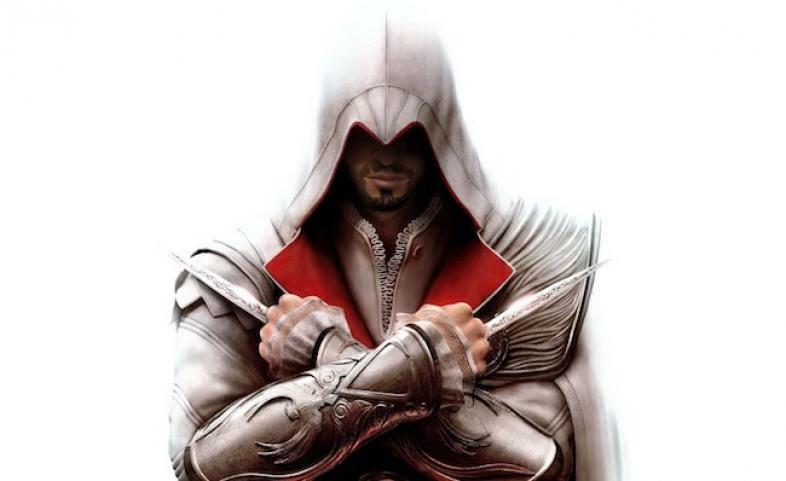 Pictured: the only interesting Assassin’s Creed protagonist. Here’s the thing. Assassin’s Creed games are all about action, and when they’re focusing on action, they’re great. But entire seasons’ worth of parkour is going to bore most audiences stiff if they don’t care about who’s doing it. In a game, you care about the Assassin because the Assassin is you. In a series, though, some crafty characterization is required. The pioneer example here, to no one’s surprise, is Game of Thrones. Like the Creed stories, it’s all about showcasing the spectacular violence and cruelty that results from old-timey folks having political disagreements. And it realized that the characters need to be a little more varied than “man who is suffering from a severe lack of blade in his gullet”. Even if the series focuses on a single Assassin’s journey rather than an ensemble, it’s going to need a host of colorful and memorable people to keep us entertained - and to get us wincing as they get gutted, poisoned, drowned, shot, and burned. Fassbender is in…the Middle Ages, I think? For…some reason. Assassin’s Creed is famous for taking place in a series of lavishly detailed historical settings. But as often as not these settings are just window-dressing - pretty backdrops to do parkour across, or checklists of interesting people for players to meet. Rarely does it ever feel like they matter on a dramatic level. TV is all about drama, of course, so this is an area where the series needs to pay special attention. How about Europe ravaged by the Black Death, where friends and foes die of plague faster than they can be killed? The height of the Cold War, when identities and loyalties are blurred and every loss brings the world closer to nuclear war? Or even the near-future setting of Desmond’s story, where cutting-edge technology threatens to make Assassins obsolete even as it offers them new possibilities? Alternatively, the serial nature of the show could allow for a lot of time-hopping with the main character as a unifying element. An episode set in the Siege of Constantinople could be a test of our hero’s bravery in the odds of a no-win scenario. A quick hop to the Paleolithic could be a test of his raw survival skills. A brief stay in the last days of the Roman Republic might explore his view on the continuum between democracy and dictatorship. Hey, if Doctor Who could do it, why not Assassin’s Creed? Who is he killing? Good news! You don’t have to care, apparently! It’s time to accept that the standard Assassin’s Creed mythology is just not particularly gripping. It’s got all sorts of elements that should make for a great conspiracy theory - centuries-old ideological wars, the mythical origins of humanity, hidden repositories of mystical knowledge and power. But it all comes to nothing when you realize that the only point of the mythology is to give the player an excuse to do lots of killing, without worrying too much about whether or not it’s OK for them to do so. You can’t deal with big epic ideas about humanity when you have the moral framework of Grand Theft Auto. So let’s dig into the meat of these ideologies. Why should we care about the Assassins other than “because they’re cool”? What makes opposing the Templars so important right here and right now? And what is the cost to these people’s humanity as they wage their bloody and bitter war across the centuries? When these questions are given weight, the myth arc of the entire series will suddenly begin to matter in a way it never did before. It’s early days yet for the series. No doubt Ubisoft is still getting all its ducks in a row, trying to find the best way to pitch a show that offers something new while still in keeping with the spirit of the games. They’ve certainly done a good job of getting thousands of gamers hooked on Assassin’s Creed. Let’s see if they can convince the rest of the world too.